With all the crazy weather we have experienced this summer, our garden has exploded. This is Hubby's baby and he has taken pride in planning, tending and picking his veggies. 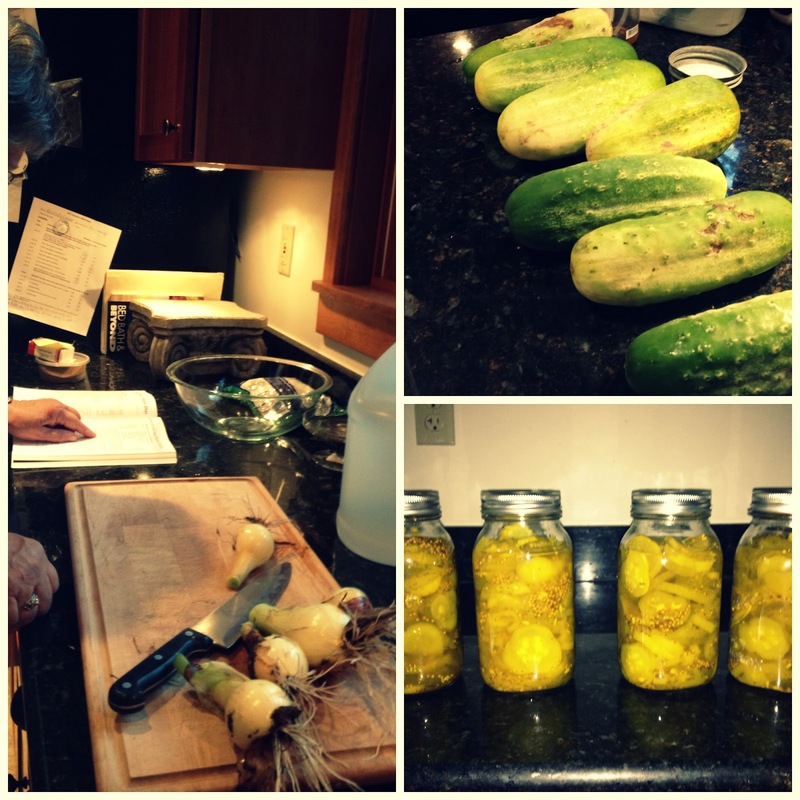 We had an abundance of cucumbers and of course we cannot let anything go to waste, so now we have some delicious pickles. Two flavors - dill and bread & butter (my fave). Hubby called in the expert - his momma - for guidance. In addition to the pickles, he has canned a mix of hot peppers, apple sauce (in the fall) and will be making tomato sauce this week. We have eaten a veggie every night, nearly all summer, from our garden. It's been a rewarding experience and a tasty one too! We have even ventured out of the usual foods and tried some new items as well. Maybe you'll spy him at a farmers market next year!